Soci is a fascinating tourist destination and offers much to explore and enjoy. Besides the attractive entertainment facilities, churches and cathedrals, as well as museums and monuments, there are breathtakingly beautiful natural sights. The Agura Waterfalls, Orekhovsky waterfall, 33 Waterfalls, Dagomysskiye Koryta, Waterfall Glubokiy Yar, Zmeykovskiye Waterfalls and Chudo Krasotka Waterfall are what your guests should see to realize how unusual the nature of Sochi is. 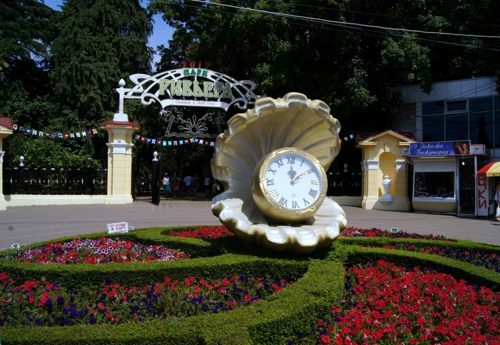 Sochi allures with its amazing aqua-parks and aquariums, beaches with pebbles and warm waters of the Black Sea, as well as plenty of other places of interest. Organizing a tour for tourists, you can't miss such sights as the Culture Ethnographic Center My Russia, Gorki City, the World Discovery Aquarium, the Adler Monkey Farm, and others. This city is as fascinating in winters as in summers. Hence, no matter what season you are welcoming guests from abroad to Sochi, your tour is sentenced to success! 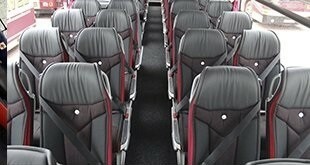 Rent a coach with a driver in Sochi from 8Rental to get ensured what an unusual decision you have made! This car and driver supplier stands for the quality of each of its vehicles. Depending on the number of tourists you are welcoming in the city, you may hire a standard Mercedes Sprinter or a huge Mercedes Tourismo. Both models, as well as all other vehicles 8Rental has in its fleet, are designed to satisfy the most scrupulous tourists' demands and caprices. Besides the essential amenities, these vehicles are equipped with some extra conveniences such as toilets, minibars, refrigerators, coffee machines (filtering), reading lights, reclining aircraft-style seats with comfy soft belts and armrests, etc. Nevertheless, if you find there is no model demonstrated in the official website of this coach rental service in Sochi you would like to rent, don't give up but contact the cs operator. Be sure; together you will find the best solution to satisfy you and your guests. Who if not the driver is responsible for the safe transportation of your tourists in Sochi? 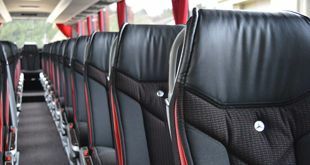 Booking a coach from 8Rental, you are also getting a professional chauffeur to drive you wherever needed as long as you need. You can book the vehicle for one destination or the entire weekend. The choice is yours just as the driver! It's you who decides whether the driver can be a smoker or not, or whether he should speak English French or Dutch (his native Russian language not counted). In all cases, whichever driver you hire, he is sure to be a real professional with a driving license and years of practice in the field of passenger transportation. Being well aware of all roads in Sochi, the driver will only need the name of the destination to take the right direction! 8Rental is a generous service which likes to surprise its regular clients with nice bonuses such as significant discounts, free fuel, and health insurance. Besides, if you hire a chauffeur driven coach in Sochi beforehand, you may have the bus and driver meet them right at the airport to take them to their hotel. The bus and driver will be at your full disposal as long as you need!